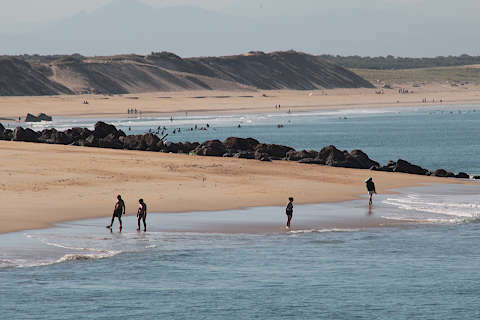 The resort of Capbreton is north of Bayonne and Biarritz in south-west France, at the point where the river Adour ends its passage to the sea. 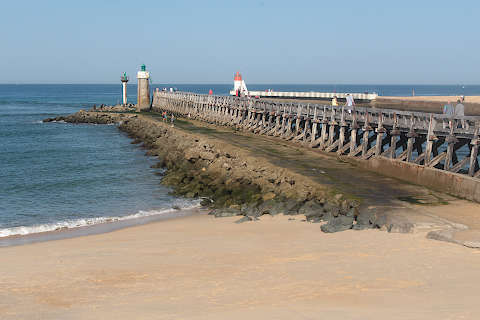 France This Way comment: Capbreton is a small resort, best suited to visitors who plan to spend a lot of time on the beach. The town is divided into two parts, quite distinct from each other. 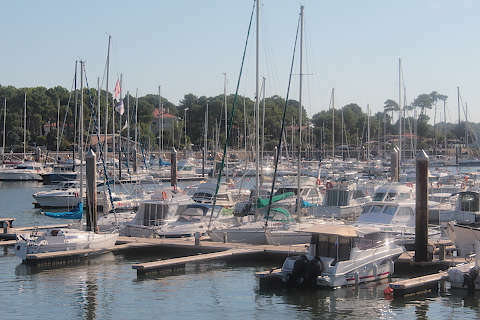 The traditional town centre is to the south, the port and seafront restaurants are to the north, and the long beaches are to the west of both parts of the town. The easiest access to the beaches is near the port. 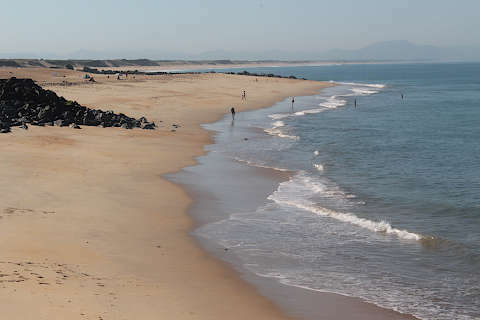 There are several beaches in Capbreton, although they are sometimes continuous with each other. 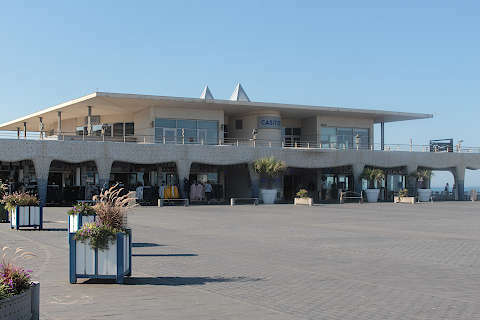 From north to south they are: the Plage de l'Estacade (next to the historic jetty); the Plage Centrale; the Plage du Prévent; the Plage du Santocha; the Plage de la Piste and the Plage des Océanides. 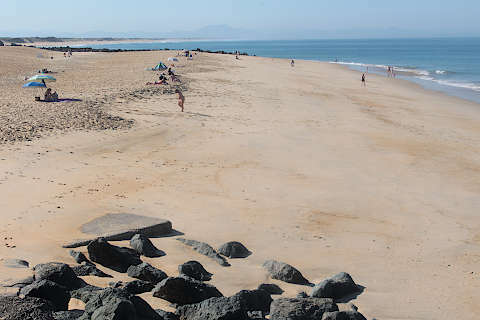 The beach is very long, sandy and clean and it is easy to find a part of the beach that is not too crowded. Note that some places along the beach have strong currents not suitable for children or unsupervised swimming, so stay within the areas supervised by lifeguards. If you walk far enough along the beaches you will find rock pools with crabs and oysters. There is also a footpath, the Sentier de la Dune, that follows the beaches south and is useful if you really want to be isolated from anyone else. This path also introduces you to the flora and fauna of the dunes. 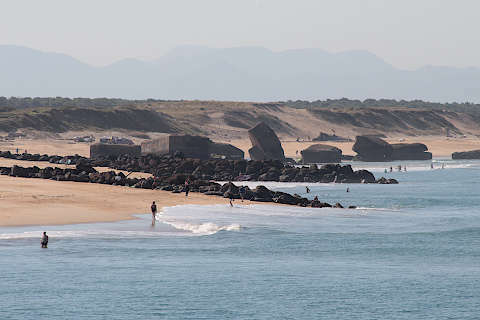 At the north end of the beach where it meets the Adour river you can see the most interesting historic monument in Capbreton. 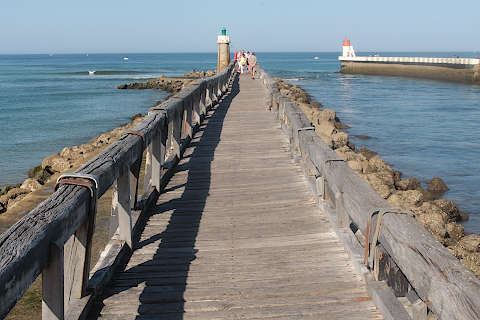 This is a jetty (called an estacade) that was opened by Napoleon in 1858, and ny appearances has not changed much since. You can walk out to the end of the jetty for nice views along the coast in both directions. 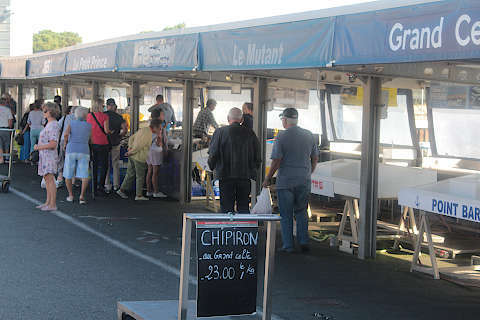 Next to the port there is a fish market selling the catch of the day, as well as shops selling bucket and spades and beach balls, expensive sandwiches and restaurants serving the day's catch at high prices. You’ll find obstacle courses for fitness enthusiasts, playgrounds for the under 10’s and hairdressers and boutiques. You will find more shops and restaurants in the town centre, which is based along one long pedestrian street and a few side streets. Here you will find everything you need, from bakers to cheap restaurants, beach shoes to carrots. 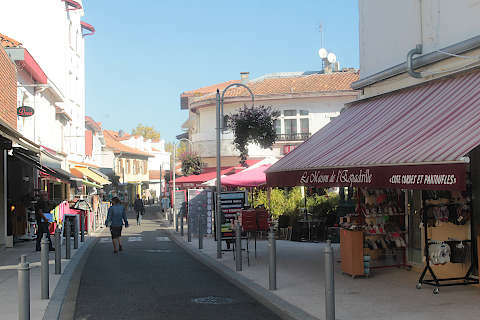 The Capbreton tourist office is nar the north end of this street. 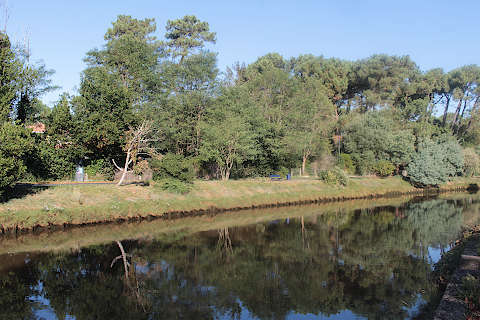 On the outskirts of Cap Breton you’ll discover the Forest of Gascogne – you can’t miss it as it spans over a million hectares and occupies 45 % of the surface of Aquitaine, Gironde, the Landes and Lot–et–Garonne. Originally the forest was planted to extract pine resin, but now much of the wood is cut commercially. 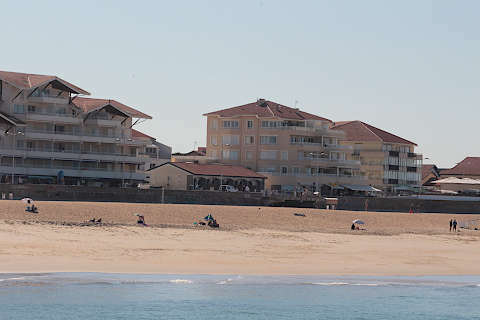 Capbreton is conneted to the north with Hossegor. 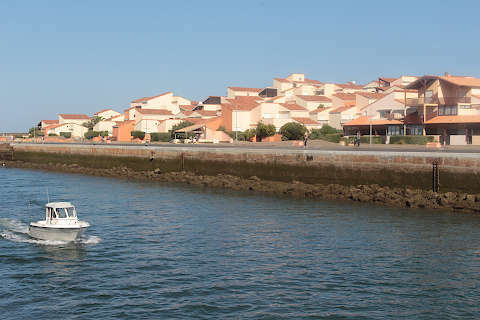 Hossegor is a surfing destination and beach resort with an extensive town centre. 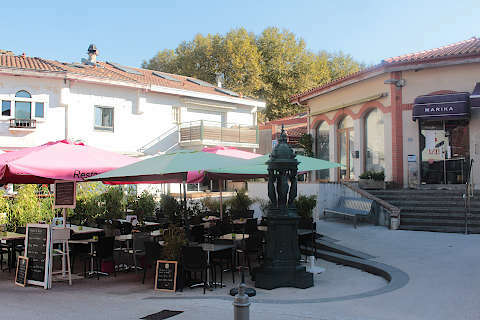 You will also want to visit both Bayonne and Biarritz to the south.